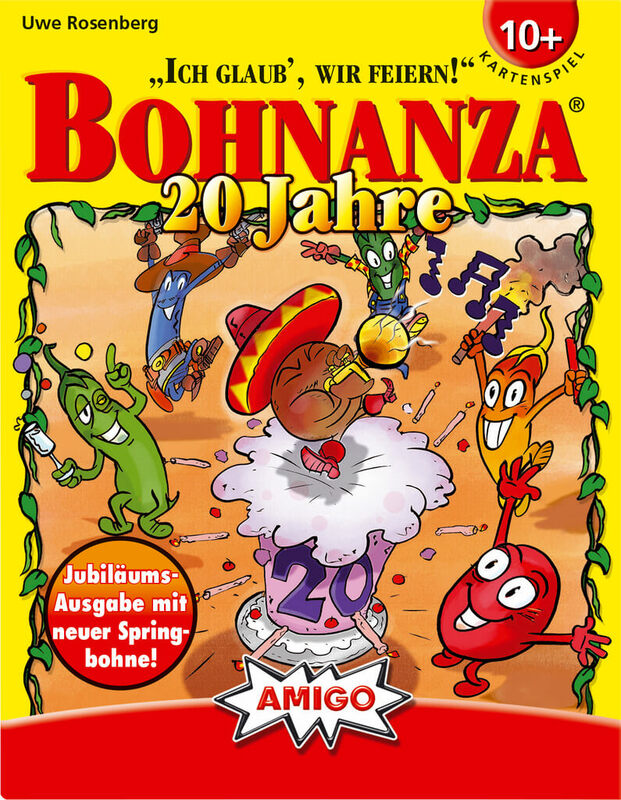 In 2017, Uwe Rosenberg’s and AMIGO Spiel’s Bohnanza turns 20. In light of this, there will be a special 20th anniversary edition coming out, Bohnanza: 20 Jahre. It will have new artwork, card backs and a new bean. The new bean, the spring bean, will be on six cards. Upon harvesting them the player can draw cards equal to the number of players plus an additional card. After that action, a player will plant a card, then pass them around so all other participants can do the same. The one remaining card is given back to its original owner which is then converted into a Taler. That’s a game that is totally worth celebrating!